A Richmond-based pharmaceutical company raised the price of a life-saving opioid overdose antidote by 600 percent between 2015 and 2017, at the peak of the U.S. opioid epidemic, according to a Senate subcommittee report. The report accused the company, kaléo, of brazenly exploiting the U.S. opioid epidemic, and of capitalizing on government healthcare programs intended for the nation’s elderly and most vulnerable citizens. Kaléo’s misconduct, it said, resulted in more than $142 million in charges to taxpayers in just the last four years. Kaléo, whose headquarters are located in downtown Richmond, raised the price of the opioid antidote EVZIO from $575 to $4100 within a two-year period. 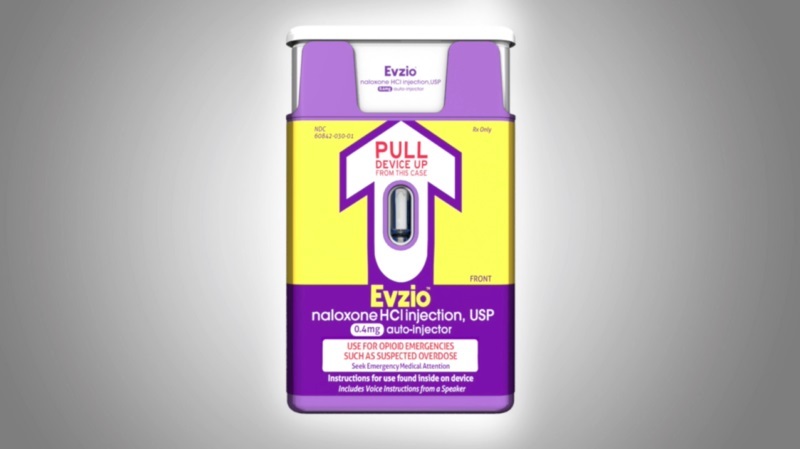 EVZIO, a handheld auto-injection device using the opioid-blocking medication naloxone, was the first treatment specifically designed for non-medical bystanders to use in the event of an opioid overdose. In 2017, 49,000 Americans died from opioid overdoses, up from 42,000 in 2016. According to the Centers for Disease Control and Prevention (CDC), 115 Americans die every day from an opioid overdose. Naloxone has been recommended by the U.S. Surgeon General and the World Health Organization (WHO) as a potentially life-saving drug, and both the Surgeon General and the WHO have supported policies that would aid in its distribution. EVZIO’s price hike was part of the company’s sales strategy, which encouraged doctors to route prescriptions through specialty pharmacies that handle prior authorization paperwork for insurance coverage. According to the report, a prior authorization triggers coverage for commercial plans, but also for government programs like Medicare and Medicaid. Spencer Williamson is the President and CEO of kaléo. 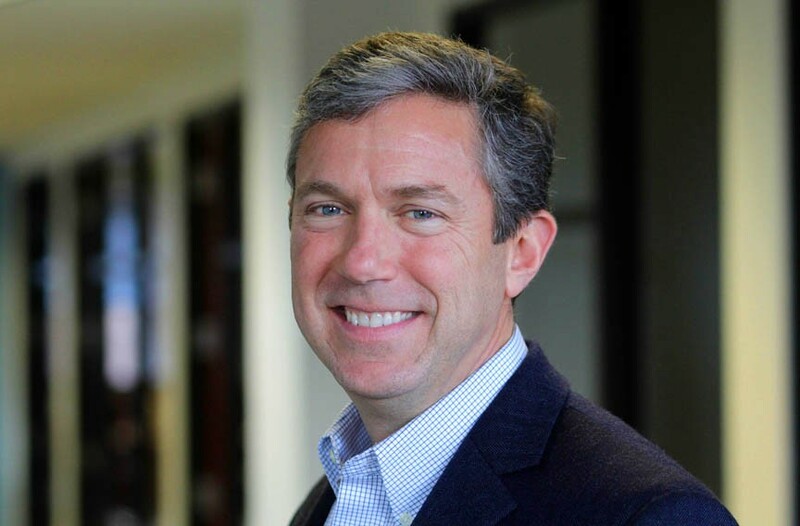 He currently serves on the board of directors of Avenu Medical, and the VCU Intellectual Property Foundation, and is on the Board of Trustees of the MCV Foundation. Chris Schools is Chief Financial Officer of kaléo. The report found that kaléo hired outside consultants Todd Smith and Ben Bove to orchestrate EVZIO’s price hike, after several other consultants recommended lowering the price of the drug. Smith and Bove were known to have implemented similar sale strategies at other U.S. pharmaceutical companies. The pair consulted with Horizon Pharma, where the price of a bottle of arthritis medication shot up from $140 to $2,482; and Iroko Pharmaceuticals, where the cost of an arthritis drug called indocin nearly tripled after their pricing model went into effect. While kaléo executives claim that their pricing models were designed with private insurers in mind, the financial hit taken by Medicaid and Medicare as a result of the increases was substantial. Medicare purchased 16 percent of EVZIO units sold over the time period in question, but paid 56 percent of kaléo’s total revenue from the product, while Medicaid purchased 8 percent of units and accounted for 19 percent of revenue. It’s unclear at this time whether kaléo or it’s leadership will face any consequences for their role in the exploitation of the opioid epidemic. A routine day for paramedics in Richmond finds them at a hotel where a young woman is overdosing on heroin. She’ll live because of the 911 call her 4-year-old son placed, but the future for this woman and her son is still hazy. This is the sixth time she’s overdosed — her son has seen it enough times to know how to respond — and it will most likely happen again. 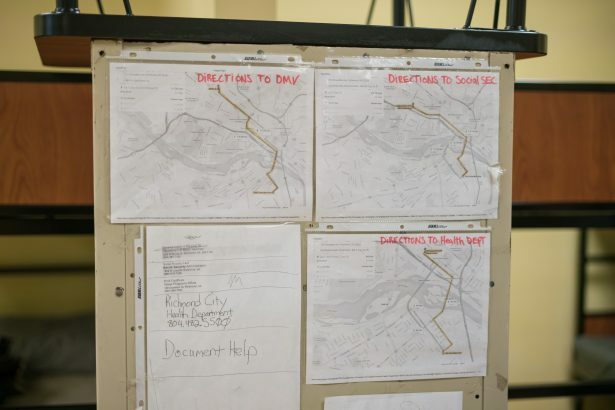 Alex Brooks, a trauma technician at MCV and paramedic at Chippenham Hospital, shared this story with us as we investigated the opioid epidemic in the River City. He said this story was a common one, estimating that four to five overdoses occur every day in Richmond. With the introduction of fentanyl and ever-stronger heroin, this epidemic becomes harder and harder to control. People who suffer from addiction have a complex disease that compels sufferers to seek and use a particular substance. This disease, now called Substance Use Disorder by the American Psychiatric Association, changes the mood, personality, and actions of those struggling with it. On top of the physical and mental challenges individuals face during recovery, there are also social challenges that make long-term recovery very difficult. A survey conducted by the Johns Hopkins Bloomberg School of Public Health showed that the general public does not believe treatment options for drug addicts are effective, and are opposed to government spending on treatment facilities. Their research also showed that people are averse to working with sufferers in a job space, and most would not welcome a family member’s marriage to someone with the disorder. However, despite conventional wisdom, there is hope for people who suffer from this disorder — even the mother in that hotel room. We were unable to find out where she is now, but interviews with other locals suffering from the disorder give a partial picture. The people we spoke to hoped that sharing their story could help others by removing some of the stigmas they’ve faced. William (who wished to be identified only by his first name) grew up in Richmond and struggled with heroin for 10 years. He has been in recovery at the Healing Place, a local treatment center for people struggling with substance use disorder, for two years; currently, he’s working on rebuilding the life heroin took from him. The disorder does not discriminate across race, gender, or economic lines. Although the face of addiction in mainstream culture is predominantly male and black, men and women from all races and walks of life have suffered from the same dependence. Marie Pruitt, who is now in recovery, is a former college student from an upper-middle-class background. She talked about how heroin supplanted school and the future she originally saw ahead of her. At first glance, Pruitt and William are polar opposites, but substance use disorder has erased many of the gaps between them. While William is an African American man from poverty, Pruitt is a young white woman from an upper-middle-class household in Fairfax, Virginia, born with every resource to succeed. However, at the age of 20, Pruitt has been through inpatient rehab five times. She began experimenting with drugs in middle school, and by the time she was 18, Pruitt had tried almost every drug imaginable, and developed a dependence on heroin. No one plans on getting addicted to substances, but their availability both behind the counter and on the street makes it easy for individuals to slip into dependency. Both Pruitt and William were introduced to opiates by people they trusted. A trusted adult in Pruitt’s life would trade prescription opioids to her in exchange for marijuana. Later, Pruitt began buying opioids outright. It was a short step to buying heroin. Before William could get heroin himself, his uncle would share his heroin with him. In the environment where he grew up, these substances seemed like an inescapable part of life. That misinformation is not isolated to the Richmond community. A study from Harvard’s Equality of Opportunity Project showed that the American Dream of upward income mobility is dissolving. Only 50 percent of children born in 1985 were expected to earn more than their parents did, down from 90 percent of children born in 1940. For people like William, who are born into poverty, that means they are likely to stay in poverty throughout adulthood. In areas of poverty and high unemployment, the people with the most money tend to be drug dealers, who in turn become idolized for their apparent success. But once William’s uncle introduced him to heroin, the desire to better his socioeconomic status dissolved into a desire to get more heroin. “I’d seen these people living in abandoned houses, and I had a house to go home to and a car, but I’d rather be with them than go home,” William said. Pruitt’s story of upper-class suburban addiction might seem like an outlier in comparison to the stories told in dramas like The Wire, but it’s a fast-growing trend. A research study in JAMA Psychiatry found that there has been an increase in heroin abuse throughout the country — especially in white suburban areas. Mike St. Germain, a middle-class family man from the Atlanta suburbs, struggled to help his daughter Tori as she struggled with substance use disorder during her high school years. Her grades started to drop, her mood became more volatile, and the little girl that once happily roamed their house was erased by substances. Like William and Pruitt, Tori’s addiction affected everyone in her life. “The addiction takes everything around it and sinks these little hooks into it, and just pulls it all the way towards itself,” Mike St. Germain said. Once a person becomes dependent, life revolves around two things: the substance, and the money to afford it. Another man at the Healing Place, Sean, said, “We live to use and use to live — it’s a vicious cycle.” Family, friends, work, and the future suddenly lose their significance, and the top priority becomes the substance. “Our stories may vary, but the disease of addiction does not discriminate,” he said. Pruitt felt isolated from everyone she cared about. At her lowest point, many of her friends wouldn’t even speak to her, and she had nowhere to stay. St. Germain’s daughter’s addiction got so bad she gave up her child. “She was in such a bad place she actually signed guardianship over to me and my wife,” St. Germain said. Nearly a year went by before Tori returned to see her baby girl. Today her daughter is five years old and has a two-year-old sister. Both girls live with their grandparents; just when St. Germain and his wife were expecting to retire, they found themselves becoming parents again. Tori is currently in recovery and living with her parents. St. Germain and his wife have done everything they can to help her, and are hopeful that Tori will continue to improve her life. That hope is a common theme for the people who suffer, the people who love them, and the people who work with them in recovery. While centers like Rams in Recovery and the Healing Place share a focus on creating a community to serve and support people in recovery, they approach the issue with different models and foundations. 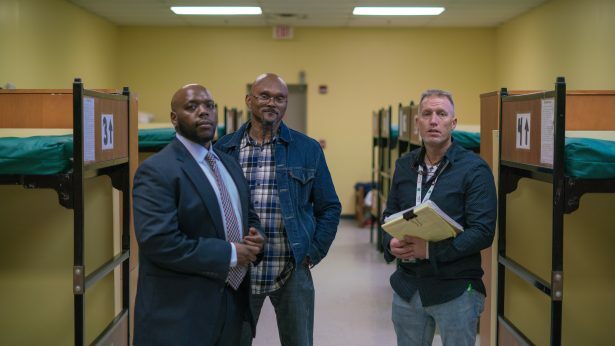 Rams in Recovery is a VCU-based support group for students struggling with substance use, while the Healing Place is a recovery treatment center created by CARITAS, a relief organization with an abstinence-based peer-to-peer recovery program. Both centers strive to create an environment of hope for people in recovery, and give them a place to go as they cope with the physical, mental, and social aspects of that process. Recovery isn’t impossible, but it’s frequently punctuated by relapse. According to the National Institute on Drug Abuse, 40 to 60 percent of those with the disorder experience a relapse. However, what is important is an individual’s ability stay committed through those relapses. Despite significant relapse rates, all of the individuals we spoke with are succeeding in recovery. Pruitt is currently attending VCU and is working towards a degree that she once thought she wouldn’t live to see. Tori and her children are currently living with St. Germain and his wife, as Tori attempts to rebuild her life. And after two years at the Healing Place, William believes he is finally ready to leave.